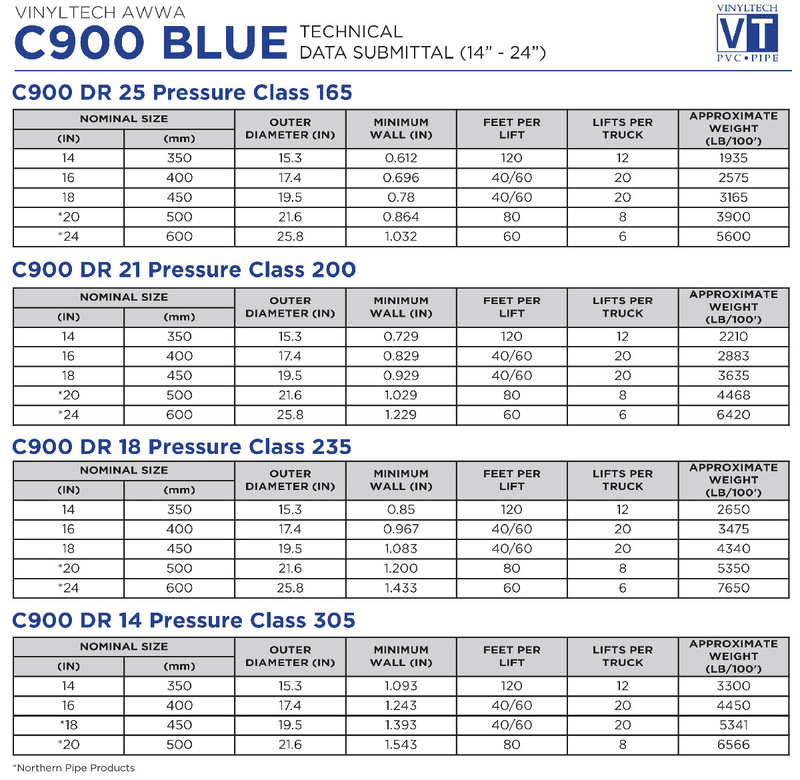 These specifications designate the requirements for manufacturing and installing Vinyltech AWWA C900 PVC Pressure Pipe for potable water (14”-24”). The pipe shall be extruded from compounds meeting (PVC1120) the requirements of Cell Classification 12454, as defined in ASTM D1784, Standard Specification for Rigid Poly (Vinyl Chloride) (PVC) Compounds and Chlorinated Poly (Vinyl Chloride) (CPVC) Compounds. The PVC shall also be listed by the National Sanitation Foundation (NSF) for use in potable water. Each length of the pipe including the bell shall be hydrostatically tested in accordance with AWWA C900. 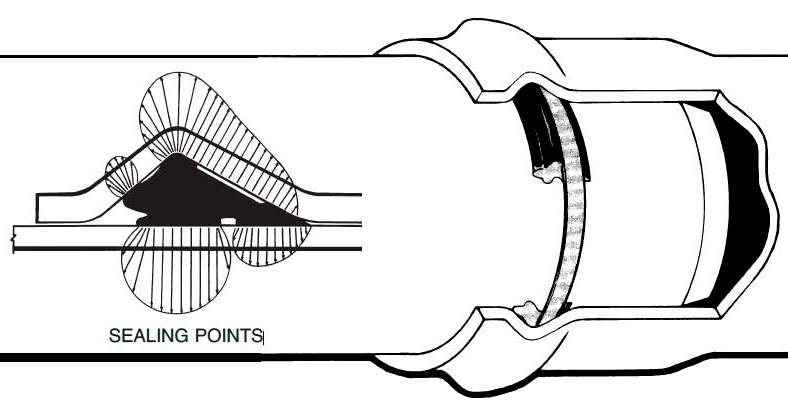 The pipe shall meet all additional test requirements as described in AWWA C900. 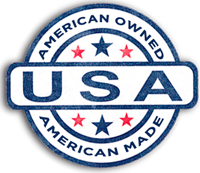 Our full-time quality assurance staff continually administers a rigid program of tests to maintain the production of the best quality pipe products available. Recommended installation procedures of Vinyltech Corporation are outlined in AWWA C605, Underground Installation of Polyvinyl Chloride (PVC) Pressure Pipe and Fittings for Water. The AWWA Manual M23, PVC Pipe-Design and Installation, is also an invaluable resource guide for design and installation. The consistent success of tapping PVC pressure pipe is contingent upon the use of proper procedures and equipment. Tapping should be as recommended in AWWA C605.